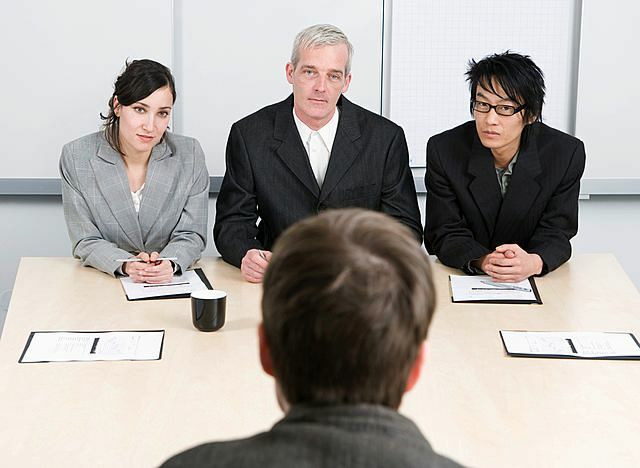 Generally the interviewers will take it in turns to ask you questions and of course when one asks a question, the others are more than likely observing and taking notes. It is essential then that you are conscious of how you appear to them all. Ensure that you don’t angle your body only towards the interviewer who is asking the question – they all matter. Also, ensure that you maintain eye contact with them all. Admittedly you will need to direct your answer first and foremost at the person asking the question, however you should also make a conscious effort to look at the entire panel with a few glances. Since some of your interviewing panel may be making notes and not actually asking questions, this could prove to be a distraction. Our advice? Ignore it. This is something that happens at all interviews anyway so a panel interview is no different. Whether they are scribbling furiously or even worse – appear to be doodling – just pay no heed. Direct your efforts into answering the questions as best as you can and don’t let it throw you. If you’ve been advised in advance who the panel will consist of, then you ought to do a little digging around. Look at the company website, use LinkedIn or even good ol’ Google and research who your interviewers are. This will help give you a little more insight into what they are all about and help you identify who you perhaps should be aiming to strike a rapport with in particular. If you don’t know in advance who the panel will be, then make sure you pay attention when they introduce themselves at the outset of the interview. A panel interview is no different from any other interview in that you still should put in the same amount of research on the company, the role itself and the market sector. 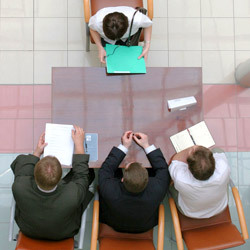 Also take some time to identify typical interview questions you may be asked and work out what your answers will be. Think up some examples for those competency style questions. In essence, do all the prep that you would for any interview.